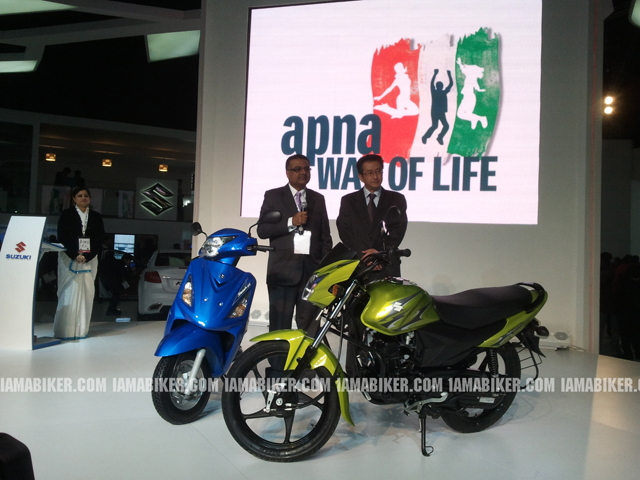 AutoExpo2012: Suzuki unveils the Hayate and Access, displays Hayabusa, Storm | IAMABIKER - Everything Motorcycle! 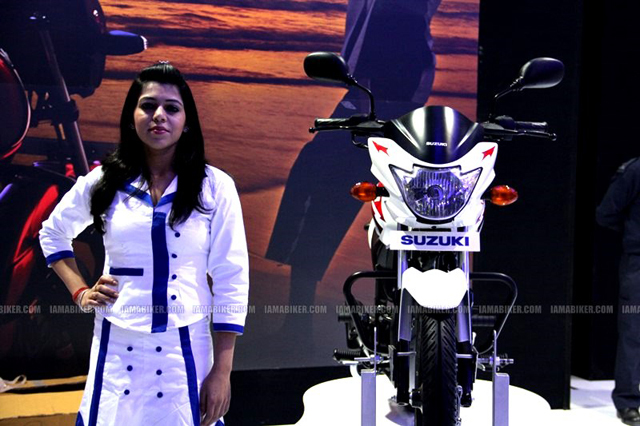 Suzuki Motorcycle India Private Limited (SMIPL) was the first motorcycle manufacturer to unveils its products and hold a press conference at the AutoExpo 2012. 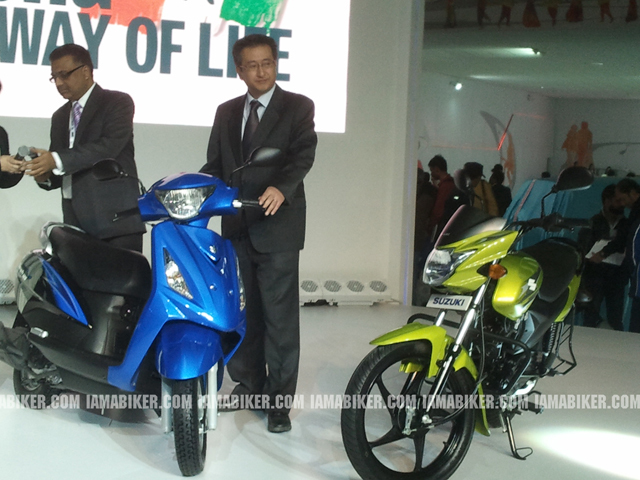 Suzuki unveiled their 110cc motorcycle Hayate. The name Hayate is derived from the Japanese word meaning ‘swift wind’. The cubic capacity of the motorcycle is of 112.8cc and is a carburetor engine. The Hayate is to be produced as a mass market commuting motorcycle. Though no further details of the motorcycle is yet disclosed, and neither the price, Suzuki says that the motorcycle would be more competitively priced. 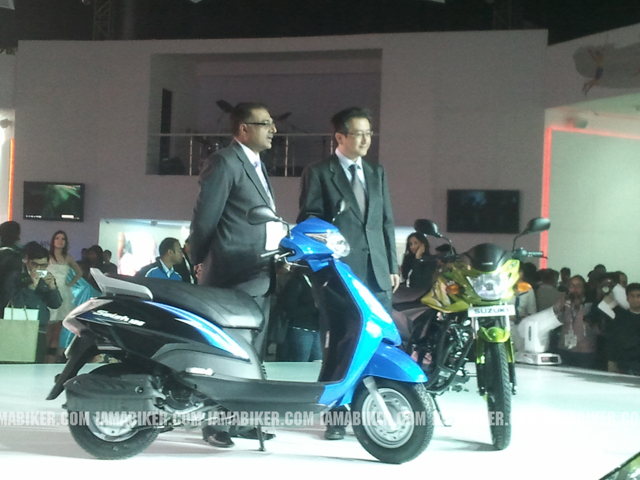 Suzuki also unveiled their 125cc scooter Swish. 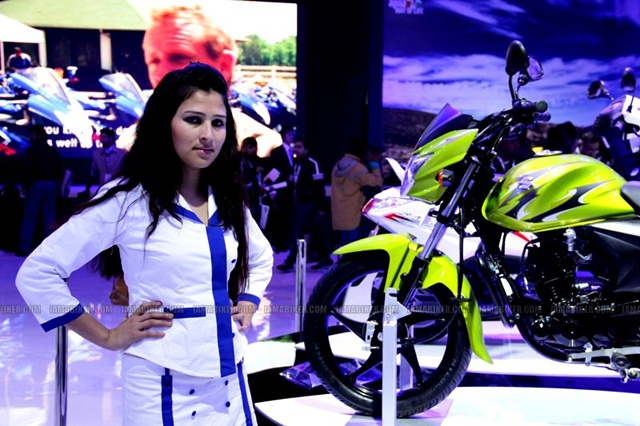 The Swish has a 8.7ps power output based in its 125cc engine. The Swish is based on the platform of its sibling, the Access, which is already available in the market and is a good competitor. With Suzuki claiming that the Swish is made to appeal to the younger audience, and with a price tag of 45,431 INR ex-showroom Delhi, it is seen that Suzuki wishes to make a more prominent stance in the scooter segment. The Swish will be available in the market towards January end. 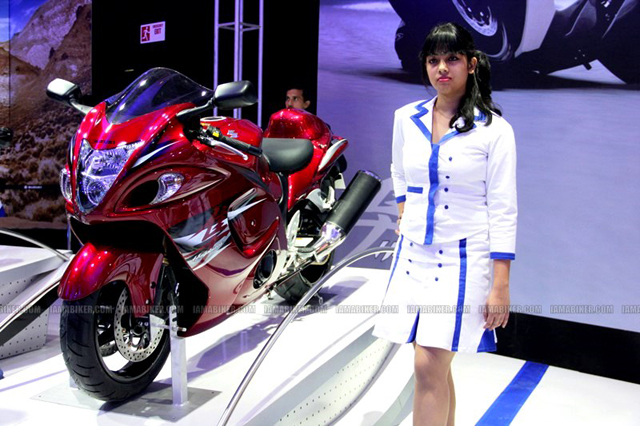 Accompanying these new launches were a couple of other motorcycles from the Suzuki stables including the GSX1300R Hayabusa.